A few weeks back I went to Odense with one of my friend to watch her sisters flat aka take the opportunity to get away from home for a while and maybe do some sightseeing in your own country. Even though I have a lot of friends studying in Odense I have never really been other places than their flats and the shopping opportunities. There are a lot of them actually. I simply have to tell about my way there. I think I had the most unlucky travel ever. First of all I day to get up pretty early and smart as I am, I had decided the day before that I could pack the rest I needed in the morning. Did I do that? Not exactly… So I kind of had to get out and buy some clothes when I got there. On the way there with the train I heard a huge BUMP and I felt the train run something over and I feared the worst! Then the train driver said in the speaker that he had hit a freaking cow. A COW! So he had to check if the train was okay and we were 15 minutes late (and yes the cow did die). When I went into the next train and there was a man checking my travel card it had somehow stopped working? It had working the moment before when I checked in on the station but it stopped working when I sat in the train. Perfect! So when I got to Odense I had to find the DSB office and get a new card because they had never seen that error before. When we were finally going to take the bus out to the flat I find out that I can’t use the freaking travel card in the busses in Odense yet so my friend had to pay for me. Just me luck? The first day we spent in Odense ZOO because I have heard they have a Red Panda which is my favorite animal. It didn’t really come out while we were there and I have learned it is a night animal, so I guess I have to be really lucky to see it. We were there on a Tuesday when everyone else was at school and work so we had it almost all to ourselves and we used a lot of time with the giraffes. Right when we went into their area they opened the gate to their house and they all ran in to eat while we were standing there so we were really close to them. 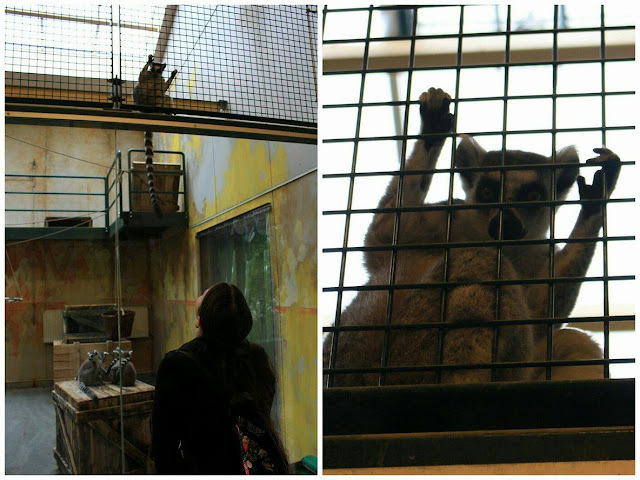 We also used a lot of time with the lemurs. They were jumping around and especially one of them jumps up and sat right above us and stared us down. It almost sounded like it was whining when we tried to go away from it so we were standing and talking to it for quite a while. Also my friend has a thing for goats so we had to into the “kids zoo” and pet with some goat kids. One of the small goats tried to eat her boots and it was so cute! …Until it tried to eat my shoelaces as well. They had some very cute manatees you can watch from “under the water” while they eat. They are so big and clumsy and also very cute when they hold onto their salad head when they are eating. We were at the ZOO for so long that we had to hurry through the penguin area even though they were standing there and almost posing for pictures. 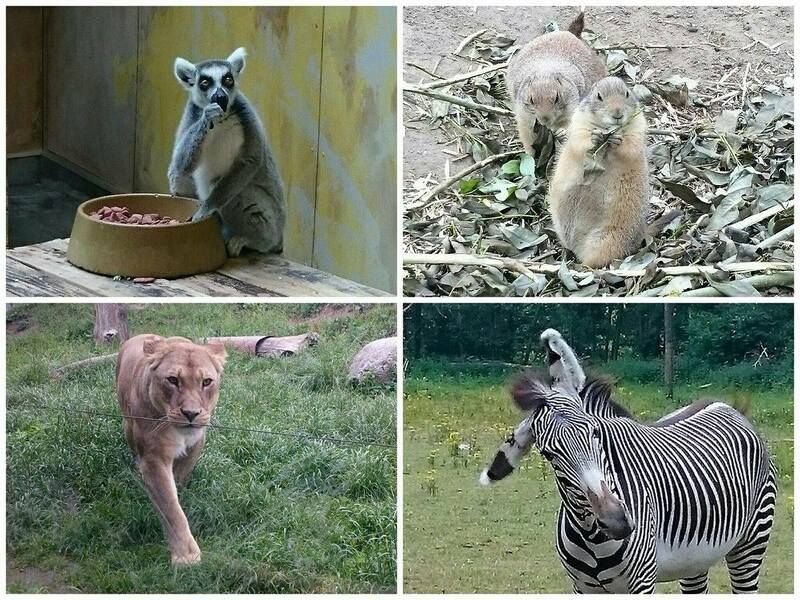 I have to say that even though Odense is not a capital they have a pretty good zoo and you could get pretty close to the animals almost everywhere. (Of course through a glass window or something like it) All their animals seemed happy from our point of view even though they were locked up you know. The lions had so much more space than the ones in Berlin City zoo. But a fun detail is that the lion enclosure was right across the enclosure with the gazelles. The lions looked so desperate to get over there. The poor lions can't do anything else than look at them every day.